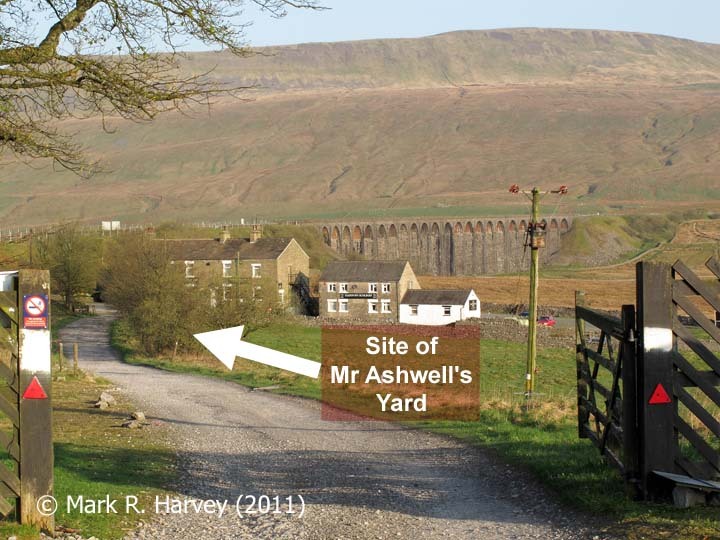 The site of Mr Ashwell's Yard is shown on a land plan submitted to parliament by the Midland Railway Company in 1875 as part of a request for authorisation to purchase additional land to facilitate the construction of what is now known as Ribblehead Station. 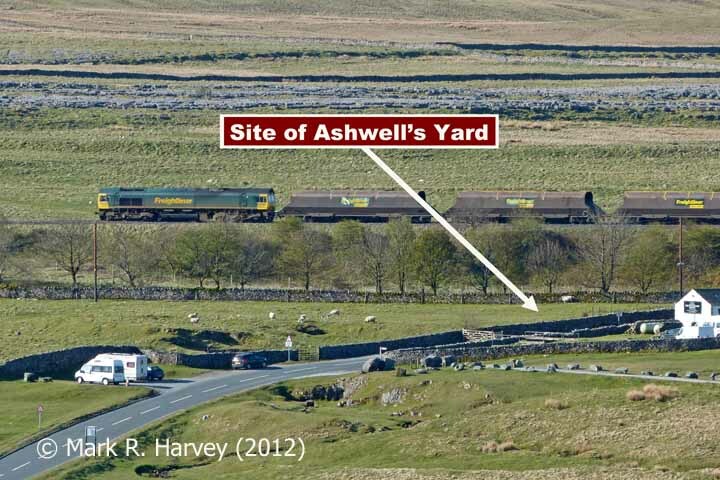 The buildings and tramway sidings associated with Mr Ashwell's Yard are clearly marked towards the bottom right hand side of the land plan (see extract in the image gallery below). 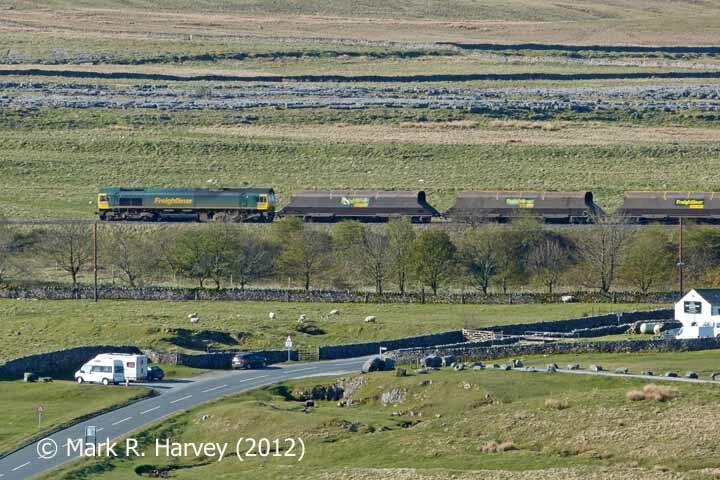 The yard occupied the area beneath and either side of what is now the station access road, close to its junction with the B6255 Ingleton to Hawes road - i.e. 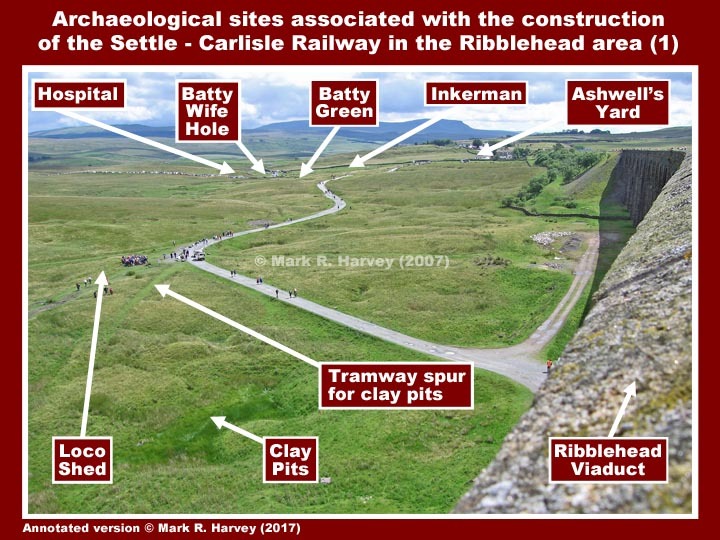 the area shown in the large image below (see also the annotated version in the image gallery). 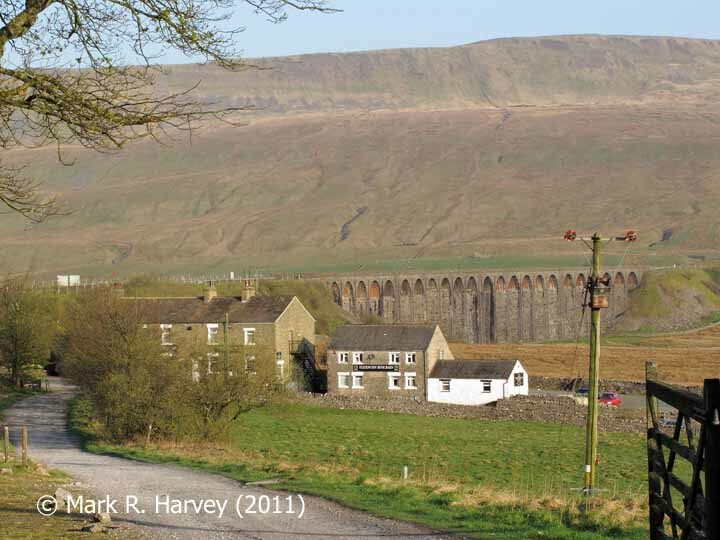 The site of Mr Ashwell's Yard (with Ribblehead Viaduct beyond).